Recipes, food preparation techniques, and product sourcing from our kitchen to yours. Plus information about special events, musical performances, and PH staff! Our new Spring beer list includes a focus on refreshing seasonal beers, highlights the best local breweries, and includes updates to some of our classic offerings. The Farmhouse at Turkey Hill celebrates more than 30 years of excellence in dining and service. The executive chef Jim Hahn develops the seasonal menu using local organic and free-range ingredients, complemented with fresh ingredients from around the world. Chef Jim’s creative cuisine is perfectly complemented by knowledgeable and attentive servers, Giles and Karen, each having taken care of our guests for over 25 years. Bolete was created with a very clear vision—to get back in touch with what we love about the business, the basics. Bolete [bo-leet] is meant to be an experience, an escape from the hurried world we live in, a comfort. We do not rush what we do and we don't want you to rush through your dining experience with us. Authentic Rustic Italian located in the beautiful Connell Building in Downtown Scranton, PA.
Bar Pazzo is a locally owned, rustic style Italian restaurant located in Downtown Scranton, PA.
We use only the freshest ingredients with a large portion of our menu coming directly from our two Mugnaini wood fired ovens. 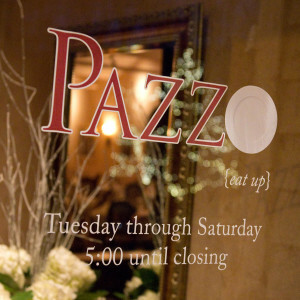 You can enjoy a glass of wine, pizza, and freshly made pasta dishes in a trendy New York City themed restaurant. It’s a casual dining atmosphere perfect for lunch, a dinner date, or a special family occasion. When you’re at our table we feed you like family. In fact, that’s the only reason we like to spend so much time in the kitchen. Family-owned staple since 1933 serving tap beers, pizza & other Italian-American eats. 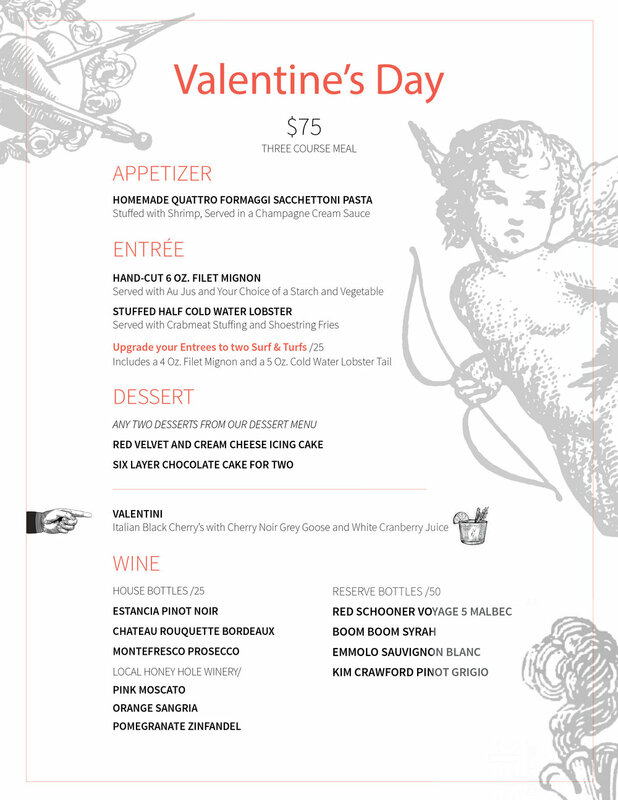 This menu will be offered on Friday February 9th, 10th, and 14th. For the past decade, we have worked closely with Pumpkin Hill Produce, a local farm headed by Harry Roinick in Wapwallopen, PA.